can i spray this on and around dead pines trees to kill the carpenter ant colony? I have 2 dead white pine trees and notice a big infestation. Can i put this in a sprayer and spray the tree or is this not made for that type of application? Gourmet liquid ant bait won't work like this. It is a bait that HAS to be used in a liquid ant bait dispenser such as the KM Ant Pro bait station, or at the very least, a container of some sort. It is not designed to be used as a spray. The ants have to eat it over a long period of time. It contains a form of boric acid that kills the ants when they ingest or eat it. 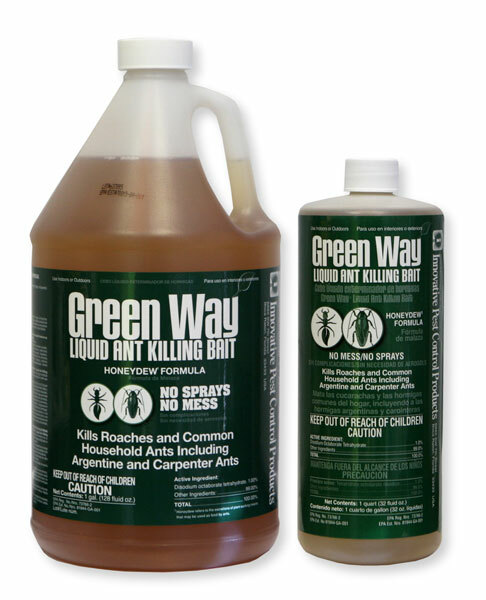 It has no topical properties and will not kill the ants if sprayed onto them. It can kill living trees, as boric acid type ingredients are basically similar to table salt. If you want to spray the trees, then consider using Dominion 2L. At least it has a chance to kill the ants. Advance Carpenter Ant Bait Granules would also be a good choice.